Samsung Galaxy S9 sports a 5.8-inches Quad HD+(1440 x 2960 resolution) while the S9+ packs a bigger 6.2 inches with the similar resolution. It is powered by the Snapdragon 845 Octa-Core processor.Outside of the USA, the S9 and the S9+ will be powered by the Samsung’s very own Exynos 9810 clocked at 2.9GHz Octa-Core processor. There is 4GB RAM and 64GB storage, while the S9+ will feature a bigger 6GB RAM and same 64GB storage. It runs on Android 8.0 Oreo with Galaxy Experience U.I 9.0. 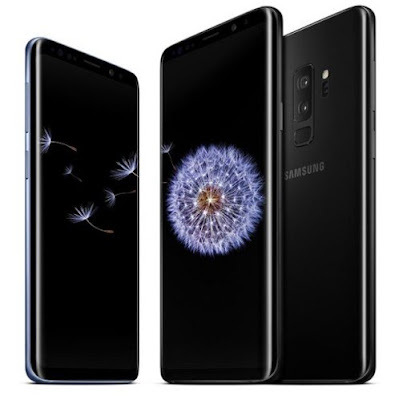 Galaxy S9 and S9+ will go on sale on March 16 in select markets, in Midnight Black, Titanium Gray, Coral Blue, and Lilac Purple color. Pre-orders begin March 2, 2018. Available from AT&T, Sprint, T-Mobile, U.S. Cellular, Verizon Wireless and Xfinity mobile from March 16. Will also be available in Best Buy stores and BestBuy.com, Amazon, Costco, Sam’s Club, Target, and Walmart. Available from March 16th in Germany. Pre-order begin from 25th February in Netherlands and France. Orders before 15th March get € 400 trade-in value when returning old device. Orders before 8th March will receive it from a week before the official date of March 16th. Pre-orders from 18.30 of February 25. Bookings before March 7 will receive it from a week before the official date of March 16th.